Gulf County Florida Beauty, Kids Outdoor Play Time and a Giveaway! Keurig Coffee Maker Giveaway (Includes K-Cups and a Carousel too)! Valentine’s Giveaway! Enter to WIN a Keurig Vue!! Winner Announced!!! Enter to #Win a Coach Purse valued at $328! Huge Amazon Giveaway!!! You could win a $10,000 Gift card!! Over $100,000 in prizes! (10 winners)! Amazon’s Naughty or Nice Giveaway! Over $100,000 in prizes! Boy, oh boy! I certainly hope a “Repo Woman Reader” will win this AMAZING Amazon prize! I want a $10,000 Amazon gift card, don’t you!?!?!!!!! Enter to win Naughty or Nice Amazon Giveaway here! Good Luck my friends! Linea Pelle Designer Handbag Giveaway! Winner annoucned: Enter to WIN a Keurig B31 Mini Brewer! WINNER ANNOUNCED: Giveaway! Enter to win a MP3 Player with a 2.8 inch color touch screen & Stereo Earbuds! 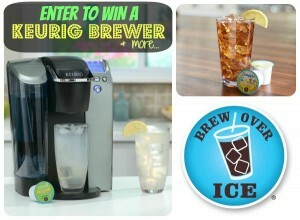 Giveaway: Enter to #Win a Keurig Platinum Brewer & Brew Over Ice K-cups!